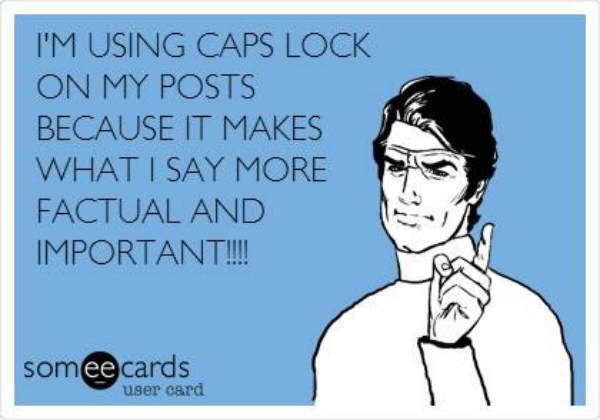 IF YOU ARE WONDERING WHY THERE IS SO MUCH SHOUTING GOING ON IN SOCIAL MEDIA TODAY, IT IS BECAUSE OCTOBER 22 IS INTERNATIONAL CAPS LOCK DAY! YOU CAN'T WRITE IN ALL CAPS UNLESS YOU ALSO HAVE AN EXCLAMATION POINT! IT ONLY SEEMS NATURAL! But of course, writing in all caps does NOT seem natural for me. 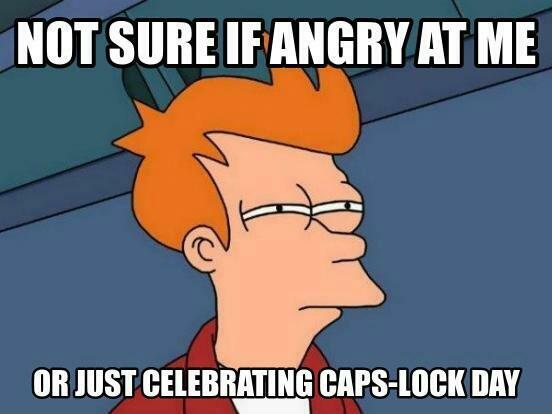 INTERNATIONAL CAPS LOCK DAY is celebrated twice a year, on June 28th and October 22nd. 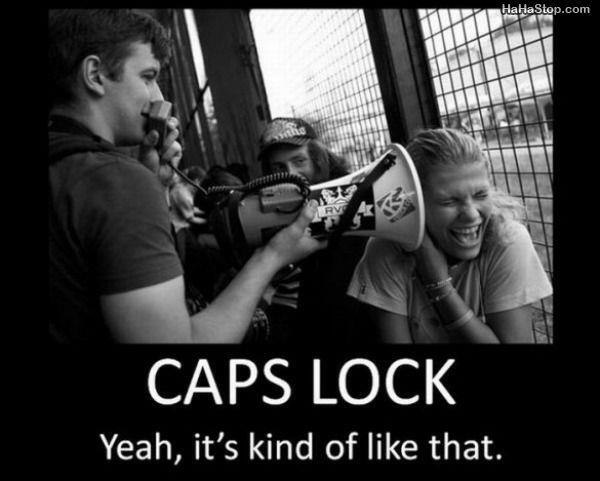 Occasionally, someone else will proclaim a different day as Caps Lock Day, so everyone can have another round of fun. Since the internet developed into a global meeting place, writing in all caps has been considered the equivalent of shouting. 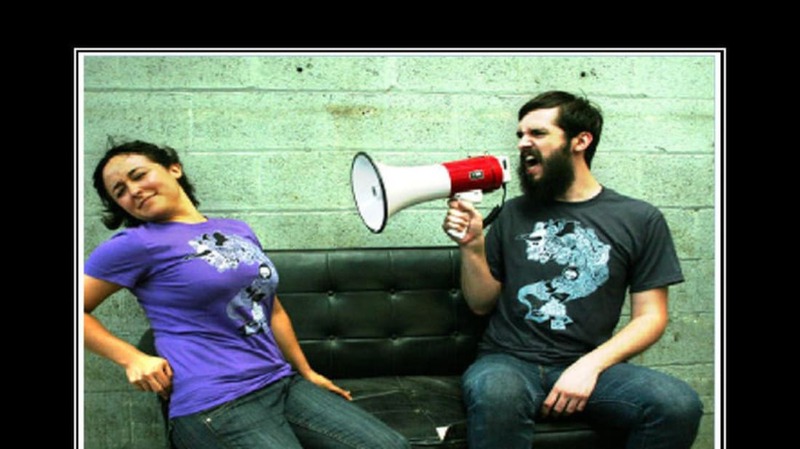 Some users only need to be told that once, and they either dial it back or begin to shout all the time to emphasize how IMPORTANT THEIR OPINION IS. National Days made a greeting card that emphasizes that opinion. Others just don't like having to switch back and forth between capitals and lower case letters, so they capitalize everything because it's just easier for them, even though it annoys everyone they correspond with. Kombijdepolitie, which I believe is a Dutch police academy, offered their own joke. October 22nd was the original day set aside for INTERNATIONAL CAPS LOCK DAY, but June 28th was added in honor of famed pitchman Billy Mays, who died on June 28th, 2009. He always sounded like he was talking in all caps. You can download an app that turns your caps lock key into a Billy Mays key. When you use the key, you'll hear his memorable voice. 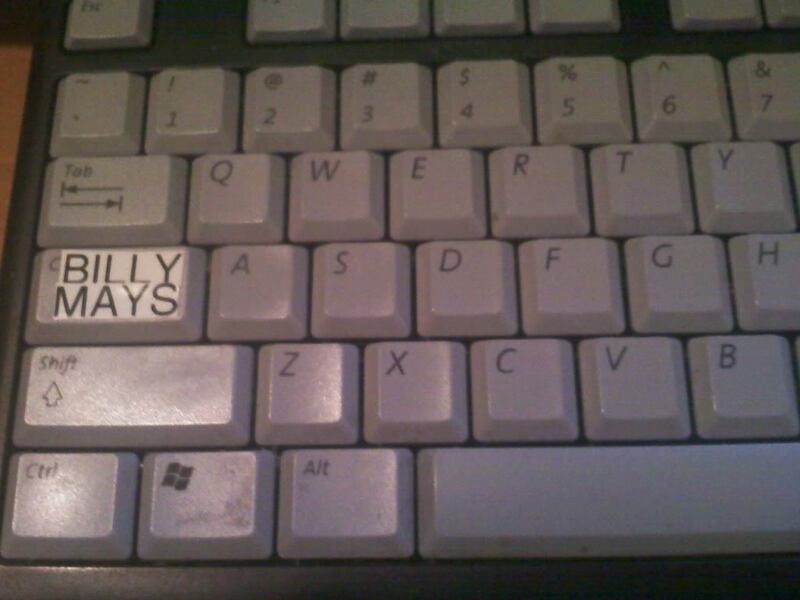 But some people just relabeled their caps lock key the old fashioned way. 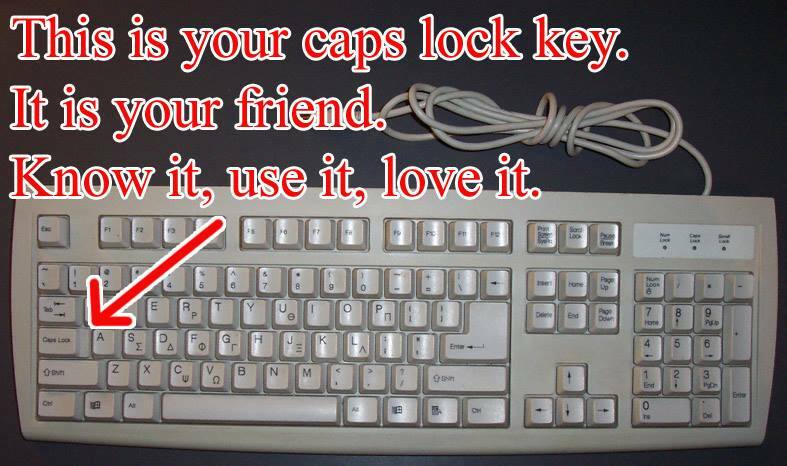 For tips on using your caps lock key, and for celebrating INTERNATIONAL CAPS LOCK DAY, see this Facebook page, which for some reason celebrates the holiday June 1-2. 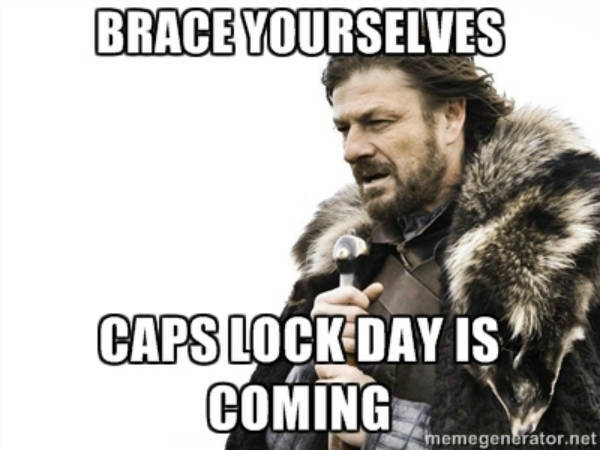 Happy INTERNATIONAL CAPS LOCK DAY, everyone!